To leave a gift in your will ensures the future of a vital service to the community. A significant amount of donations come to us from our incredible supporters who leave a legacy in their will. Essex & Herts Air Ambulance enables Pre-hospital Care Doctors and Critical Care Paramedics to be rushed to the scene of an incident. Their life-saving support equipment and expertise provides advanced clinical care that is normally only found in Emergency Departments. Once stabilised, a patient is taken by air or land to the most appropriate hospital for their needs. Legacy giving is a way of supporting your local Air Ambulance. It is a wonderful gift that does not affect you in your lifetime. When you leave a gift in your will to a Charity the gift is exempt from Inheritance Tax and can reduce the overall tax liability to an estate. 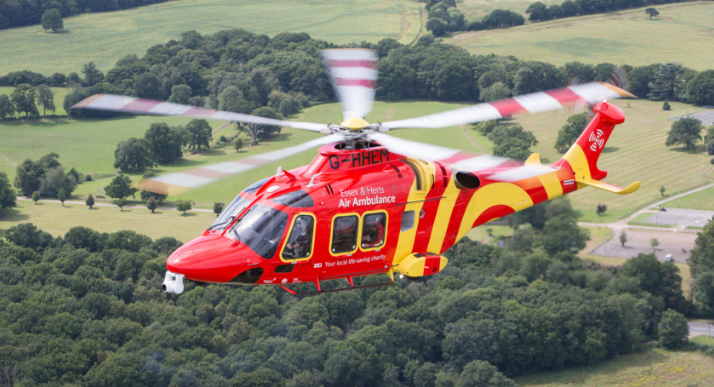 We hope that you will consider leaving a gift to Essex & Herts Air Ambulance. Leave a gift in your will. It will never be forgotten because it could help save a life. 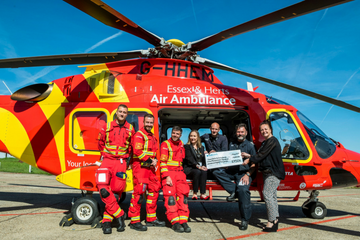 For more information on leaving a gift in your will to Essex & Herts Air Ambulance and the difference your gift will make, please complete our enquiry form.